Casey wasn’t sure what to wear to the funeral. The Colonel had a heart attack and dropped dead in the shower last Sunday afternoon. It was raining. Casey only moved out a couple of months earlier and was ecstatic about her new found freedom. The call came, “You better come, honey.” And in that moment, Casey knew something was very wrong with the Colonel. Her mom went in to put fresh towels on the counter when she found him lying there, naked, with the water pounding on his face. They didn’t have friends, really, so Casey wasn’t sure if there would be a lot of people at the service, or only a few. A plain black dress, her mom said, is what your father would expect. And so it was. What the Colonel expected from Casey was what Casey learned to give him, and even now, he was expecting her to wear a plain black dress. Casey considered moving back home—it might be different without him there—but in her heart of hearts, she really didn’t want to. Hadn’t her mom been suffocating enough when the Colonel was alive? And, since there wasn’t any other family, she couldn’t just abandon Sacramento and leave her mom behind. So in her mind, she compromised. She would stay in her apartment and call home a lot. But now, at first, her mom would need her. Breaking away from home at age 21 was a feat in itself. Gonna bust out of these barracks, she’d say each time she stashed a new paycheck in the bank. Her mom begged her to stay home, and the Colonel bribed her. Live here and go to Sac State, he’d say…GI loan kiddo. You can even quit that sandwich-making job and I’ll give you an allowance. But Casey had other ideas. So she saved her money and found a studio apartment close to home. Her mom played the guilt card while the Colonel wore a disappointed scowl and his dress greens. Casey lobbied that the apartment she found was right around the corner. This seemed to appease them. The funeral was held at Mount Vernon, a mecca for honoring dead military men. There were a few men in dress blues, but she didn’t recognize them. Did they come with the funeral package? The neatly folded American Flag did. “Mom, are you okay?” Casey whispered as her mother’s swollen eyes continued to produce a steady stream of tears. The preacher at the podium was talking about how Colonel Anderson had been an outstanding role model and made significant contributions to his country. Did this nice preacher with the silver hair even know what he was talking about? The preacher looked at her mom’s limp form and endless sobbing, he asked if the daughter would like to say a few words. Casey nodded no, that the daughter had nothing to add. Casey held her mother up and escorted her to the car, opening the passenger side of her mother’s car so she could take them both back home. Casey wanted to roll her eyes. Who would come? They moved all the time over the years which hadn’t allowed time for many friendships to develop for any of them, and really, it seemed like her parents were pretty anti-social anyway. Maybe her own lack of popularity was by default? Casey wasn’t intimidated by her mom. If anything, annoyed with her at times. Always expecting Casey to keep her company, wanting her to miss out on normal high school things so she didn’t have to be alone. The Colonel had been the enforcer. He was the one who would nix the homecoming dances or slumber parties, but as she got older, it seemed quite possibly it was because he didn’t want to hear his wife moan and groan about being alone. Stepping into the house with everything perfectly in place, his absence was obvious. His office door was closed as normal. When he was inside, sitting at his big, imposing desk, Casey would have to knock before she entered. When he was gone, or working out of town, the door was kept locked. “Mom, do you mind if I take home a few of his books?” Was it too soon to ask this? And she cleaning things that had been cleaned four minutes earlier. Casey finished her last bite of frozen pizza. Should have let it cook a few more minutes. “I think I want to lie down,” her mom said, staring absent-mindedly at the wooden table. Helping her mother to the couch, she covered her with the big yellow blanket she’d brought down from the hall closet. Casey started up to her old bedroom. The daybed that replaced the one she took when she moved out was stiff. She looked forward to sleeping in her own bed, her own apartment. It had been four nights and her back was as stiff as the mattress felt. Walking past her parents’ room was the big, inviting king-sized bed. No reason to let that go to waste. But then, maybe it was some kind of violation to sleep under the covers? She grabbed the comforter from the day bed and flopped on to the big bed, falling fast asleep. She awoke to the sunlight dancing across the covers and the sound of pots and pans downstairs. She’s cleaning. This is how she’s going to deal with it, she’s going to clean. Casey rubbed her eyes and sat up. Cleaning was her mother’s drug. If something was wrong or bothered her, there would be soap, or pine cleaner or soft blue powder from a can that would scrub toilets and sinks and counters. A clean-aholic. Did they have 12-steps programs for that? The Colonel and her mother never really fought. They might have closed-door discussions sometimes, but really, the only time Jan Anderson was upset, usually had to do with Casey upsetting her, and then, there would be hell to pay with the Colonel, and lots of clean counters. Things may not be perfect, but by God they would shine. Fumbling from her parents’ bathroom, she flushed the toilet and caught site of the shower. Her mother had already cleaned it. Casey knew this because on the way home from the emergency room where her father was declared officially dead, her mother made her stop at the grocery store for tile cleaner. And so, like the good daughter she was programmed to be, Casey stopped at the store, leaving her shocked and mourning mother inside the car to go inside with her own state of shock to buy tile cleaner. Later that same night, while Casey was trying to sort out the reality that her father was dead, she heard her mother upstairs scrubbing the shower. She cleaned it until it shone like a piece of art. That shower that he died in might never get used again. It may only be baths for Mom from here on out. She checked herself in the mirror. Tired. The clanging of pots and pans traveled up the stairway. What had she found to clean in that already-sparkling kitchen? Then, there is was. The key chain. The sacred key chain that the Colonel carried in the front left pocket of his always pressed pants. The key to his office. Sacred key. Sacred office. She grabbed it like she had just found a silver dollar on the sidewalk. Quick and clean. It was hers. Almost trotting down the staircase, Casey peeked into the kitchen to see her mother had effectively removed the entire contents of the cupboards. Pots and pans, glass lasagna dishes, cookie sheets…all of them, crowded and stacked on the counter, while her mother, on hands and knees, was wiping down the shelves. Casey shook her head in disbelief. They hadn’t even lived in the house more than a few years, and this was at least the third time her mom had cleaned them. There was the time when Casey got her car, and then, when she announced she was moving out. The last one hadn’t been but a few months ago so how the contact paper the spaghetti pot sat on could be dirty already was a mystery. Turning back, she approached the closed door. She fit the key in the lock and was instantly filled with a sense of excitement which made her almost ashamed. It was her dad; no reason to feel guilty for wanting to go through his things. After all, someone will have to help her mom. She turned the key and softly opened the door. She knew this room well. It was, in fact, the same room that had been in all the other houses, all the other states. Every time they were transferred, the movers were shown this room and paid to pack it up and set it up exactly the same at the new home, wherever it might be. Sitting at his desk, she stroked the fine wooden desktop and cool black leather chair. Maybe she would move home. Maybe she would sit in this office and feel important. She could look at all the books and pick up the phone and talk about classified military secrets. She reached for the first drawer on the left that contained a dozen or so files. Casey pulled a folder out. Home owner’s insurance, car insurance….she shuffled through the boring papers. Replacing the folder, she shut the drawer. Opening the next one, she found more of the same kind of boring papers…mostly military paperwork. Retirement, pension plan…stuff like that. When she went to whip open the final drawer, her hand pulled back. It was locked. She yanked it a few times to be sure. Swiveling to the left and right several times, staring at that drawer, she considered the contents. Maybe money? Secret papers that talked about all the missions and projects he never told them about? She was letting all the mysteries books she read over the years get to her, and then the guilt for being so curious. But he was gone. The drawer was still there. Her mother was deep in mourning and scrubbing sponges and well, there was something inside that drawer that was plenty important enough that he wanted it under lock and key. She took a paperclip from the perfectly clean small bowl that housed them. Unbending it, she toyed with the lock. She was no locksmith. Wait…maybe the key to the drawer was on the same keychain that the key to the office was on…there was that little tiny key attached. Grasping for the keychain she’d tossed carelessly on the corner of the desk when she first walked in, she stretched the ache out of her back; it felt much better having slept on a real bed. She slid the small key into the lock. Bingo. She slowly tugged the drawer open. Inside, she was disappointed; only one folder. One folder? All his banking and military work in unlocked drawers, and here, this big, almost empty drawer that was locked had only one folder? She pulled the folder out and reclined back in the big chair, stopping first to listen. She wanted to make sure her mother was still busying herself with mindless cleaning before she started sneaking around looking at things unintended for her eyes. The folder was old, but only slightly worn. She could tell, but she wasn’t sure how. She opened it up. There were three pages that seemed to be his will. She didn’t care much. Her mom would be well-cared for, and with that, she knew her mom would make sure Casey was well-cared for too. She scanned the pages with little interest. Yada, yada, yada….Last Will and Testament…yada, yada, yada…My wife….yada, yada. She started to stuff the pages back in the folder so she could lock up the door and go check on her mother. And that’s when she saw the paper that would change her life forever. 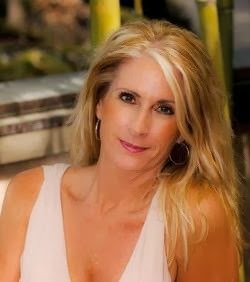 Tamara Lee Dorris has been a life-long fan of personal and spiritual development, and has written several books that fall under the category of "self-help." 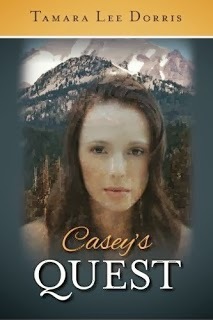 Casey's Quest explores various aspects of spiritual development, brain science & the paranormal. Tamara She is also an adjunct professor, radio host, and long time real estate professional. Yes, thank you both! This is a great blog!